A basic income pilot in Scotland is appearing ever more likely in light of meetings in the council area of Fife and city of Glasgow held in late November. Interest in basic income has been growing in Scotland in 2016. In March, the country’s largest political party, the Scottish National Party (SNP), passed a motion supporting basic income. In May, interest in the idea was further stoked when Professor Guy Standing, co-founder of BIEN and Professorial Research Associate at SOAS, delivered the Angus Millar Lecture for the Royal Society of Arts (RSA) Scotland. 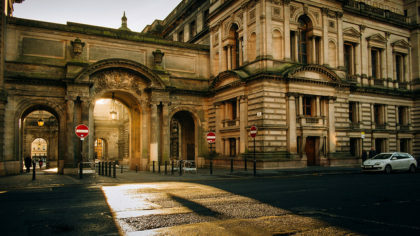 Standing’s lecture, which focused on the topic of a basic income for Scotland, was followed by a roundtable event involving civil servants of the Scottish government, local authorities, and members of think tanks and community groups. These discussions eventuated in the scheduling of multiple BI-related events in November, timed to coincidence with Standing’s return to Scotland to give the Kilbrandon Lecture at the University of Strathclyde. These included two meetings on basic income pilots — one with the Fife Council, the other with the Glasgow City Council — in addition to the official launch of Citizen’s Basic Income Network Scotland (CBINS), BIEN’s Scottish affiliate. 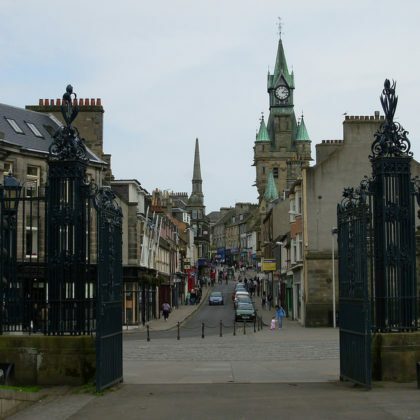 On Friday, November 25, the Fife Council held a roundtable event in Dunfermline to discuss ideas for a pilot in the council area. The event brought together councillors, civil servants, members of CBINS, and other individuals interested in basic income. Standing attended the meeting and delivered an overview of pilots conducted in other parts of the world and their potential implications for Scotland. Following Standing’s presentation, participants discussed next steps toward implementing a pilot, and decided to convene a group to carry out an initial feasibility study in early 2017. Then, if the group determines that sufficient funding can be secured, it will move forward with a formal design process. The Fairer Fife Commission, an independent commission created by the Fife Council, initially recommended a basic income pilot in a report published in November 2015, where it was one of 40 policy recommendations for achieving a “fairer Fife” by 2030. Specifically, it encouraged the Fife Partnership, Fife’s community planning board, to select a town in the council area in which to run a pilot informed by global best practice (e.g., at the time the report was written, the pilot devised by the Dutch city of Utrecht). The pilot was included among the Commission’s anti-poverty proposals, which otherwise focused largely on promoting work and employment. Glasgow, Scotland’s largest city, is also considering a basic income pilot. On Thursday, November 24, the Glasgow City Council convened a meeting to discuss ideas for the city. According to Cooke, discussions at this meeting demonstrated that the city has “a more developed and enthusiastic support for basic income” than advocates had previously realized, and the council agreed to continue to look into the idea. Speaking at the launch of CBINS on Saturday, November 26, Glasgow Councillor Matt Kerr announced that the council had instructed its officers to begin researching and designing a local pilot study. Report proposing a basic income pilot as one strategy to address poverty in Fife. Kathleen Nutt (November 22, 2016) “Trial for a basic income for all may go ahead in Scotland,” The National. Initial media announcement in advance of the Dunfermline meeting on a basic income pilot for Fife. Thanks to Jamie Cooke at RSA Scotland for much of the information contained in this article. 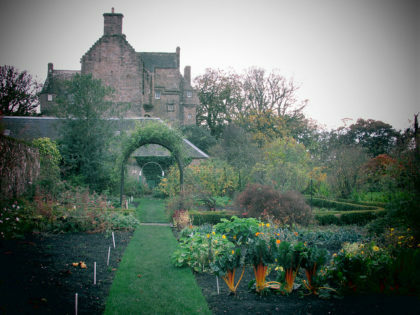 Cover Photo: Castle and walled garden in Pittenweem, Fife, CC BY 2.0 Glen Bowman. Will it be sanction free? Well done SNP hope it gets rolled out all over Scotland.Only hope the people in power in England & Wales catch on and follow suit,This is what is needed can’t come quick enough, to have a safe basic income without sanctions.The UK is in a poverty mess due to welfare reform.Its a shame other people have to clean up Camerons mess though. I am really thrilled we are embarking on this experiment. It seems it is recognised as having real merit in tackling poverty and introducing a move towards equality. Lets hope it works. I remember this as having come up in the early 70’s as “negative income tax”, whereby one received money if below a threshold, and paid tax if above it. It would also seem much easier to administer, with less chance of people seduced into belittling those claiming benefits, as in the film “I Nathan Blake”. Well done whoever pushed this through–and a brave move–is this the councils doing this or is it a Government initiative?